The ladies were also dressed in Christian Dior Resort 2011 dresses. Stunning photographs from the ad campaign, all of them looked lovely in white! 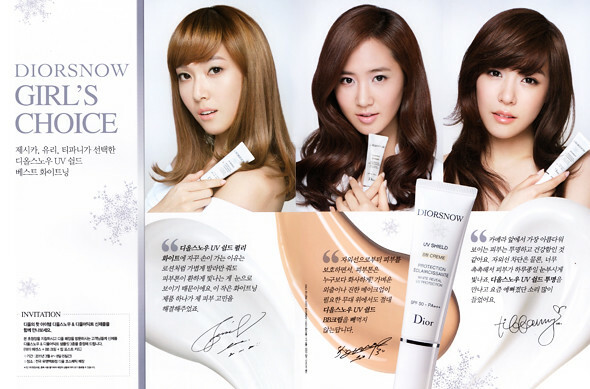 I'm glad they picked Girls's Generation to be their models. Just hope that this isn't a one-time-only advertisement/commercial. hyoyeon looks particularly stunning here.